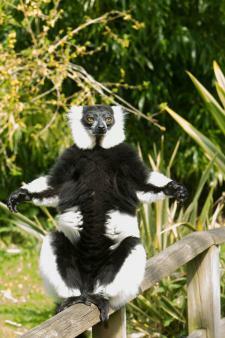 Watch lemurs leaping over your head, come face-to-face with a family of gorillas or even have a quick clamber through the treetops – there's a world full of animal magic to discover at Howletts Wildlife Park in Kent for parents and primary-school children alike. Hetty Walton took her children Tom (11) and Ivy (7) to Howletts Wild Animal Park in Kent. 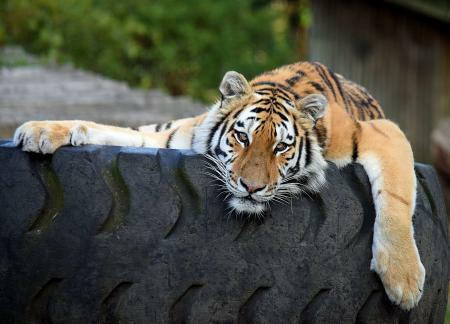 Located in a beautiful 90-acre woodland setting on the outskirts of Canterbury, Howletts Wildlife Park is home to more than 400 exotic and endangered animals including gorillas, rhino, leopards, tigers and elephants. It's a great opportunity to get close to some rarely-seen animals and learn more about them and the park's internationally-renowned conservation programmes in Congo, Gabon, Indonesia and Madagascar. It has to be the sheer proximity to the animals. Sometimes at zoos the enclosures and viewing windows are high up and hard to see through for small children, but at Howletts they can get to see the animals up close and personal. To see the ripple of a tiger's stripes on his back as he slinks past you, be inches away from a snoozing capybara (giant guinea pig!) or walk under the fluffy tail of a lemur is a brilliant experience. The walks and paths are mostly flat so it's great for pushchairs, too. The Walking with Lemurs section – you can go right inside their leafy enclosure and take a tour around the paths while watching them climb across ropes above your head and playing together in front of you without any glass or barrier in the way. Ivy and I spent quite a bit of time watching them pluck apples from the trees and trying to spot a pair of baby twin black and white ruffed lemurs that were born in May – the first pair born at the zoo for 16 years! As well as enjoying spotting a very rare pair of snow leopards in their new super-swanky enclosure, Tom also liked reading the well-pitched information about each animal which gave a background to where they originally came from, why they were endangered and what conservation programme was in place to protect them. 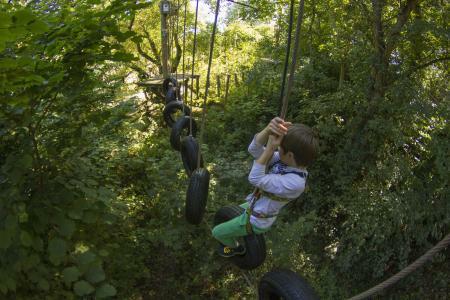 He also had fun on the Treetop Challenge – a leafy high-wires obstacle course, set up in the trees complete with rope bridges, balance beams, cargo nets and a zip wire to navigate round. The free animal talks and demonstrations, which are marked each day on the blackboards dotted around the park. 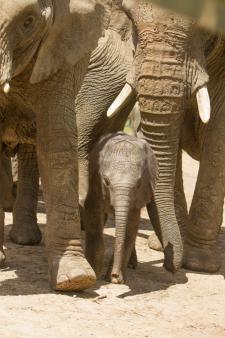 (The day we visited we were lucky enough to catch the talks on the red river hogs, tigers and elephants.) They're packed full of fun information and were pitched at just the right level for both my children to enjoy. It was great to see the keepers so passionate about the animals and they were brilliant at answering all the questions my pair kept asking them. The park runs regular holiday events from learning more about animal athletes through activities and prize competitions, to making your own toy elephant sessions so it's worth checking the website to see what's on before you go. For the more serious animal lover you could look into their junior ranger option (from £170) – which provides them with a dedicated VIP day behind the scenes at the park helping expert keepers with the animals and learning in depth about conservation, behaviours and habitats as well as finding out how to become an animal keeper themselves. The cute weatherboarded Ele Cafe and bigger Pavilion Restaurant serve up a wide variety of reasonably-priced hot meals and sandwiches throughout the day. There are also small coffee and ice cream huts dotted around the park and plenty of sheltered picnic areas tucked away in scenic spots. We liked the covered terrace where you could watch the elephants while you munched. There's also great adventure play park for the kids to let off steam with tons of nearby benches so you can eat, drink and watch while they play. A family ticket (2 adults & 2 children) booked online costs £51.95 (on the door £54.95). Under 3s go free. Howletts Wild Animal Park is located in Bekesbourne, Kent, just three miles south of Canterbury. By train, it's a 90 minute trip from London Victoria to Bekesbourne station where you can take a minibus to the door from 10am-4pm on weekends (call 01227 721286 to check availability). Summer (Apr-Oct): 9:30am – 6pm. Last admission 4.30pm. We liked the Top Trumps-style card game based on the animals we'd seen at the park (£4.50), Ivy wanted a badge of her favourite animal (£1.50) and Tom was after a set of mini binoculars to help him with further animal spotting (£4.50). You can read more about the conservation programme run by The Aspinall Foundation which owns Howletts Wildlife Park and their sister park Port Lympne Reserve and their success in reintroducing western lowland gorilla, black rhino and przewalski horses born in Kent back into the wild.